Pasta is always a safe food to serve in this house. Especially now that the weather is cooling down. Comfort foods are back on the menu in full force. I participated in an Ambassador Program on behalf of Mom Central for the National Pasta Association. I received pasta samples and a stipend to facilitate the creation of pasta recipes as well as a promotional item to thank me for my participation. Did you know that October is National Pasta Month? As if you needed an excuse to eat pasta, right?! It also happens to be an easy and hearty meal to whip up now that schedules are getting busier and busier. Pasta makes for an excellent side or complete meal, sure to fill even the hungriest of family members. Pasta Fits is a nutrition and culinary education and resource initiative sponsored by the National Pasta Association. Their website, PastaFits.org, offers recipes, nutrition information, contest and promotions, as well as general cooking tips and pasta facts. This time I chose to make the Roasted Garlic and Parmesan Noodles. Remove from oven and let cool about 5 minutes. 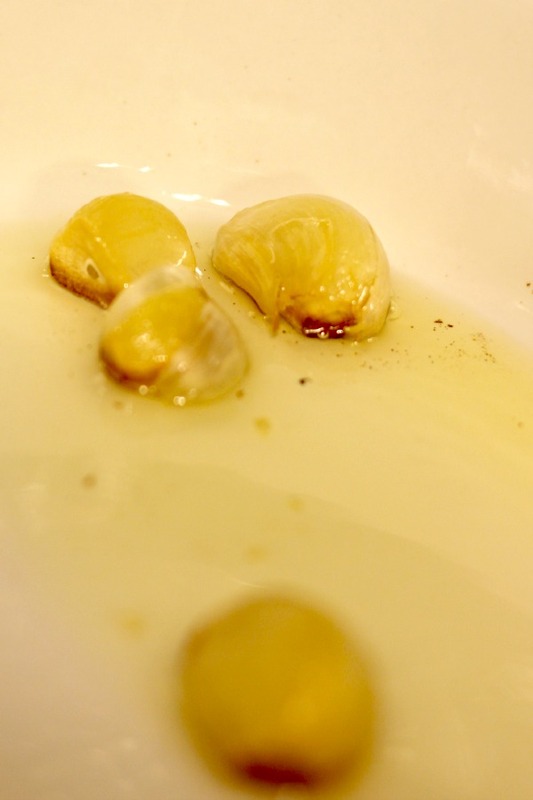 Squeeze the roasted garlic into a small bowl or chopper/food processor. Add more olive oil, the parmesan cheese, oregano leaves, salt and pepper. Mash well, or chop until “paste” forms. I added a lot more olive oil than the original recipe called for. I think I used too much pasta, so I had to increase the “paste”. We ate it as a side along with Italian breaded chicken breasts. It was delicious and perfect for a fall night! 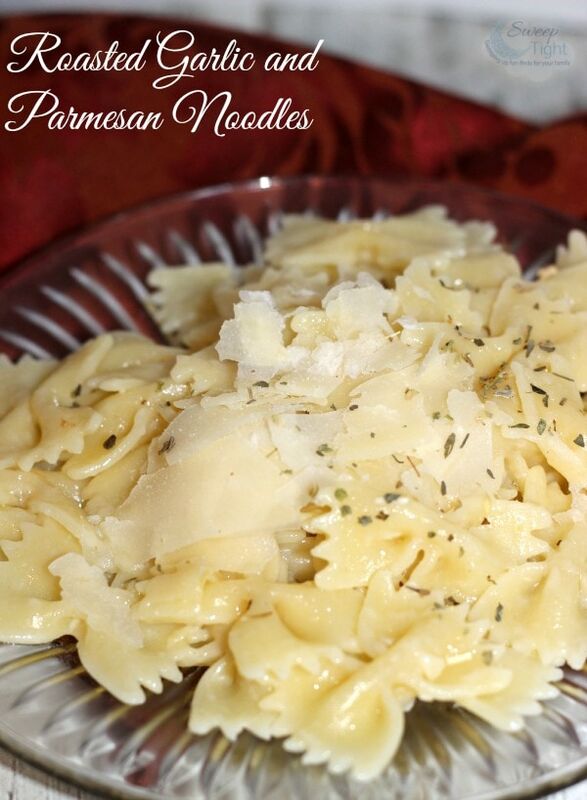 Find more pasta recipe ideas by liking Pasta Fits on Facebook, following on Twitter, and following on Pinterest. Which recipe would you like to make from the Pasta Fits website? This is a beautiful sounding pasta dish ! Thank you for sharing. 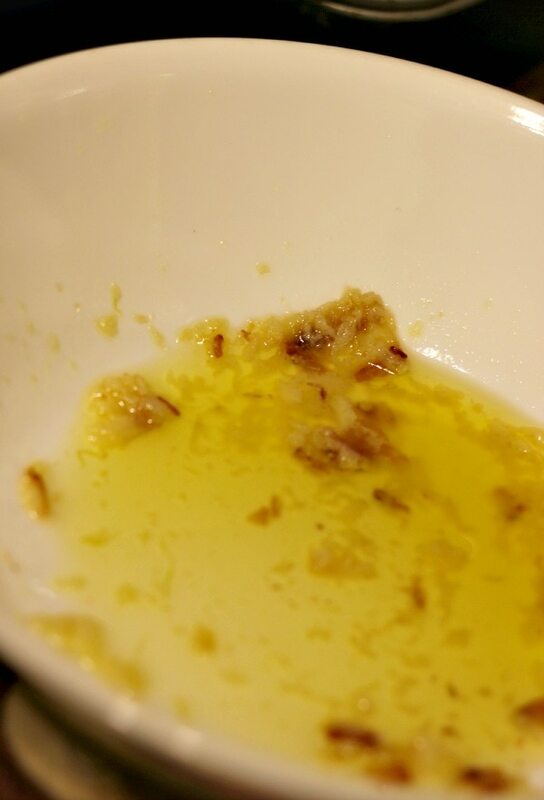 That left over garlic olive oil would be sopped up with crusty bread here at this house. We are carb junkies! Now I want some roasted garlic. Just happen to have some… Yummy recipe. Looks SO good! I love all things garlic & pasta! I would like to make the Pork Medallions over Cabbage, Onions, & Tagliatelle from the Pasta Fits website. Thanks for sharing the site! I LOVE roasted garlic and bet this pasta dish tastes wonderful. It’s also so quick to pull together for a meal. We eat lots of pasta in my house, and this recipe looks perfect for an easy weeknight meal. My daughter is a garlic fiend. She loves it on everything so I bet she would really be a fan of this! Yum! We eat a lot of pasta. Your garlic parmesan recipe definitely looks like a meal my family would enjoy. How can you go wrong with garlic? YUM! My kids love pasta, so we eat a lot of it. This looks tasty, and I love all the garlic you used. Now this looks like a recipe I want to try. This looks great, love the flavors! Great recipe linked from Melt in Your Mouth Mondays. Pasta is the best for a quick meal and your recipe is one that I will be trying , thanks. What a nice, simple, but very tasty dish. It would go so well with so many things. G’day YUM Thanks for coming and sharing at our #SayGdayParty Please make sure to revisit if you haven’t already and say G’day to the hosts and another person at the party Pinned Cheers! Joanne﻿ What’s On The List?﻿ Sharing is Caring! We love Pasta and garlic together and want to make this awesome recipe soon. I did make a Garlic and Alfredo recipe and it was delicious. I will try this recipe soon. 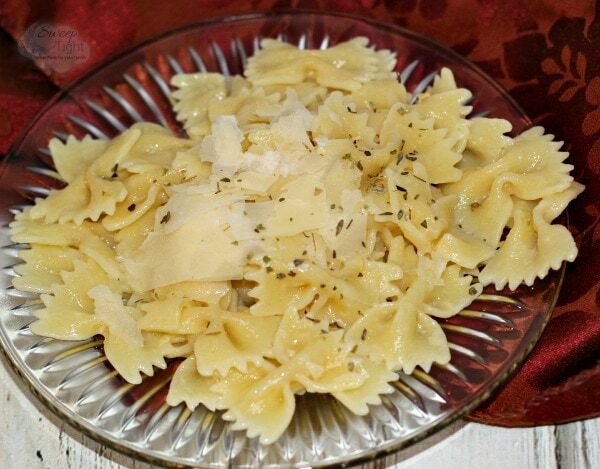 Yum, the Roasted Garlic and Parmesan Pasta looks delicious. The recipe from the Pasta Fits website that I would like to try is Creamy Vegan Garlic & Herb Pasta. Thank you for sharing this recipe. This looks so good, and sounds yummy too, I will definatly be adding this to the family suppers soon.